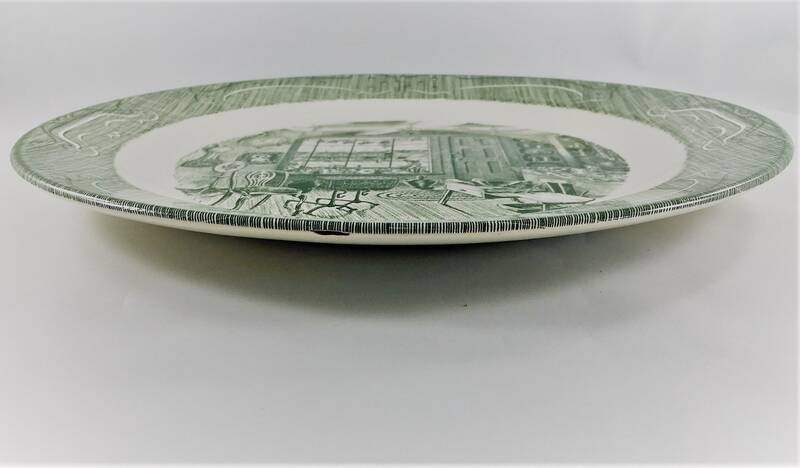 These dishes were manufactured in the 1950's by Royal China Company in Sebring, Ohio, and designed by Gordon Parker. 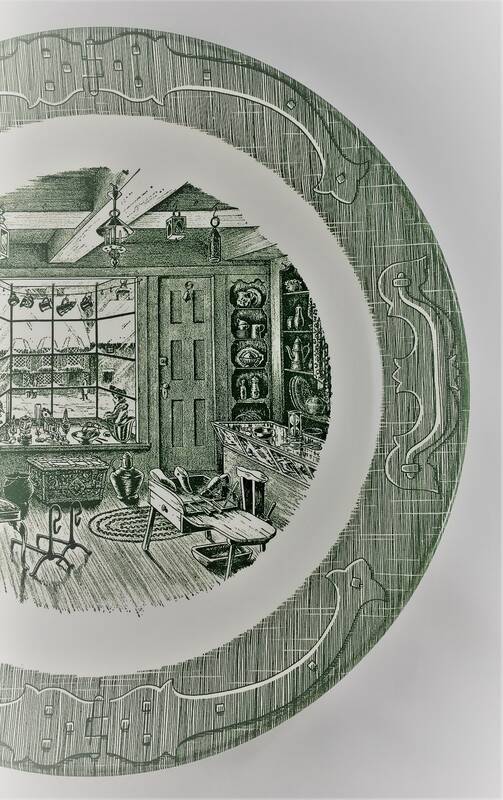 The dinnerware was not sold as a full boxed-set that included cups, plates and bowls, but rather as individual sets of each item, such as a box of four plates, or a box of four cups, etc. 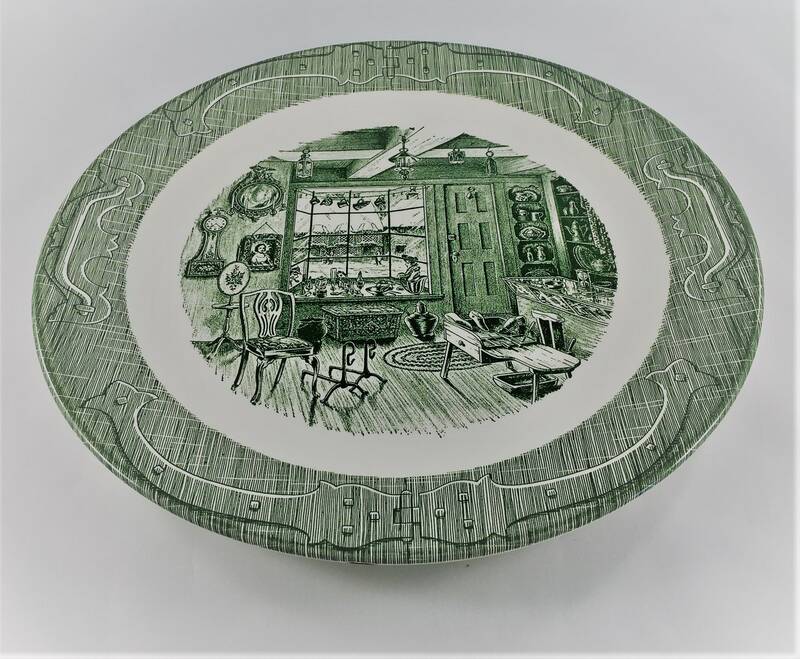 They also manufactured separate serving pieces (such as a teapot and casserole dish) as well as advertising and decorative pieces to compliment the dinnerware. 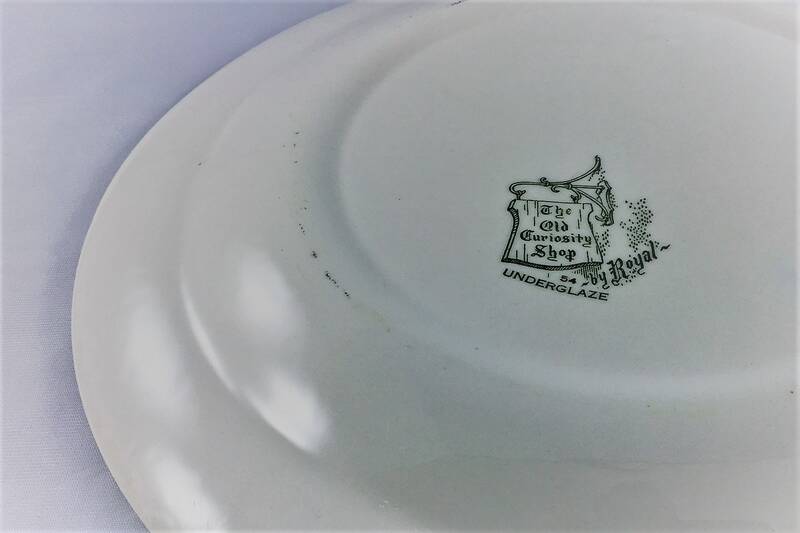 Occasional promotional pieces were offered and individual pieces of the dinnerware were given away with products such as laundry soap. The 12 inch chop plate is a tough piece to find. It's about 12 1/8 inches in diameter and is a forest green in color. It features an indoor scene of The Old Curiosity Shop. This would be a nice start (or addition to) someone's Curiosity shop collection. The set is nostalgic and brings back memories of simpler times. If you’re looking to purchase more than one item, please reach out to me so I can work with you to combine shipping.